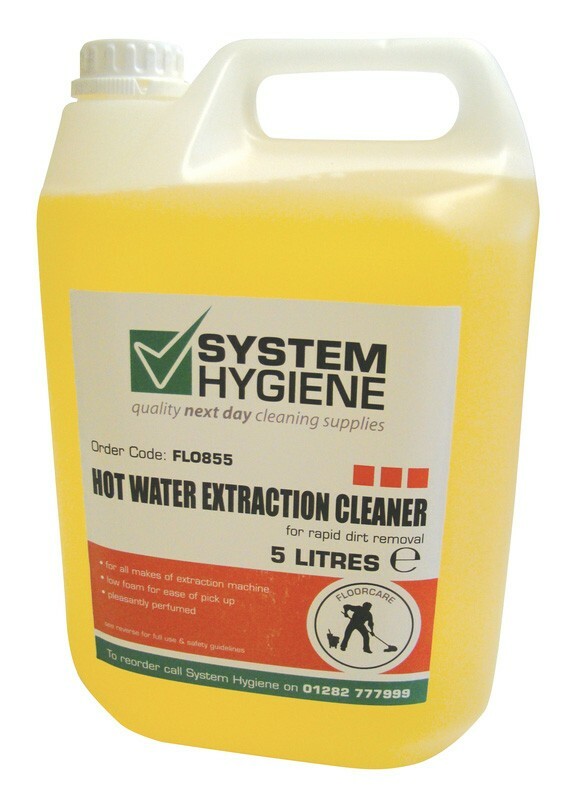 Hot Water Extraction Cleaner is a woolsafe approved low foaming hot water extraction cleaner. The product provides rapid dirt removal when used in conjunction with all makes of hot or cold water extraction machines. The low foaming formulation provides for ease of pick up. Pleasantly perfumed with a citrus lemon fragrance, leaving no unpleasant after odour. Suitable for use on wool carpets. Specially formulated cleaner suitable for woven and non-woven carpets of synthetic and natural fibres when used in conjunction with a water extraction machine. Also safe and effective for the cleaning of upholstery fabrics especially car seats. Contains a pleasant citrus lemon fragrance. Blended with a neutral pH of 7. 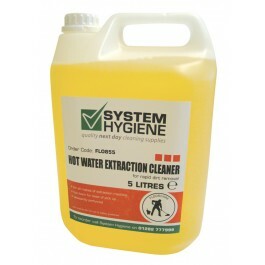 Dilute Hot Water Extraction Cleaner 1 part to 80 parts hot/cold water (to your machines specification). Ensure the detergent spray is not blocked and suction recovery is fully functioning correctly. Spray and pick up in accordance with machine manufacturer's recommendations. Ensure that as much liquid as possible is extracted from the carpet to speed up the drying process. Please Note: Always test a small inconspicuous area of the carpet for colour fastness before commencing cleaning.